Completely Cassidy Christmas Craft Giveaway Winner! 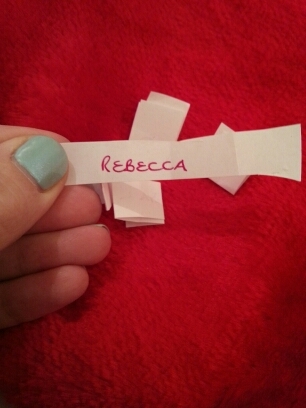 The winner of the Completely Cassidy Christmas Craft Giveaway is Rebecca! Thanks to everyone who entered. Rebecca, you need to email me your address (tamsyn@tamsynmurray.co.uk) so I can get your prize in the post tomorrow! Tags: Completely Cassidy, giveaway, Tamsyn Murray. Bookmark the permalink.